I was going through my images from California (can you believe I still have quite a few to process) and I came across another one from the Carmel Mission that I haven’t posted yet. I really loved this place and it was just a joy to photograph. Just a reminder….yesterday I posted a review on 2 new books from Dreamscapes – Desert Paradise, A Guide to Death Valley National Park and Gear for the Landscape Photographer. I found out after I posted the review that the Dreamscapes Store will be running a Thanksgiving Sale starting tonight, Wednesday Nov 27th at midnight. 15% off everything in the store. No discount code required! You didn’t think that I would be travelling and not come back with at least one bicycle image did you? If you’ve been following this blog for a while you know I love taking pictures of bicycles in unique settings. You can find one from Rome here and another from New Orleans here. 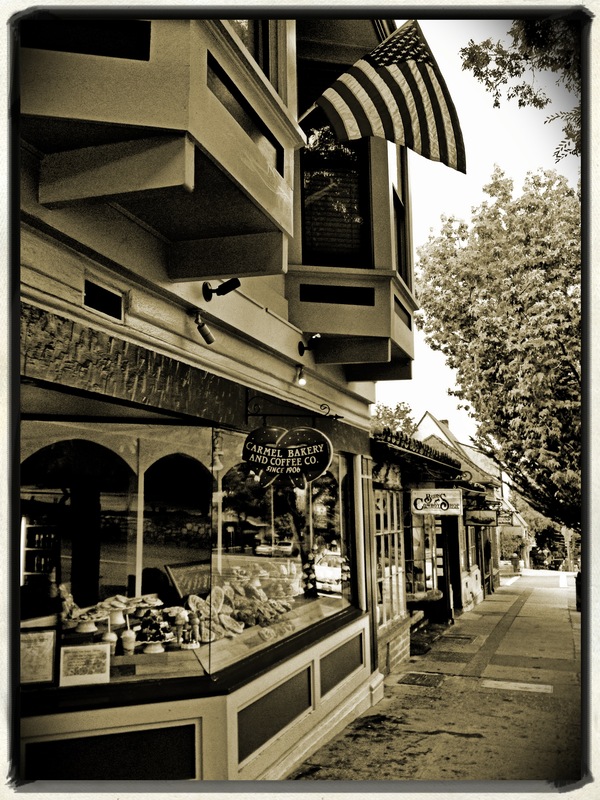 I have a few other California bicycle pictures that I’ll share but imagine my surprise when I cam across this restaurant in Carmel called La Bicyclette. It couldn’t get any more perfect then that. Happy Monday! I hope you had a wonderful weekend. Here’s another view of the grounds at the Carmel Mission. This is the path that leads by the side of the mission through the graveyard to the main courtyard. I used a texture overlay (by Joel Olives ) to give the image the look of a painted canvas which I thought suited the scene. Let me know what you think. I posted another ‘Mission’ image on my Facebook page over the weekend. You can click here to see it. While you’re there consider giving my page a “like” as I will occasionally post images there that aren’t on my blog. On Wednesday I posted an image of the front exterior of the mission. Here’s a look at the inside…. This was a bracketed exposure shot handheld. It was quite dark inside so I cranked up the ISO to 3200. I would have liked to have had the whole place to myself but that was not to be. I guess I could have cloned the people out of the picture but decided to keep them in. This is the Mission San Carlos Borroméo del río Carmelo or as it’s better known, The Carmel Mission. The mission was first established in Carmel in 1771. The Carmel Mission is considered to be the most authentically restored Franciscan mission. It’s courtyard and gardens are just beautiful and even with lots of people roaming around was very peaceful and serene. This is the front courtyard and facade of the chapel. 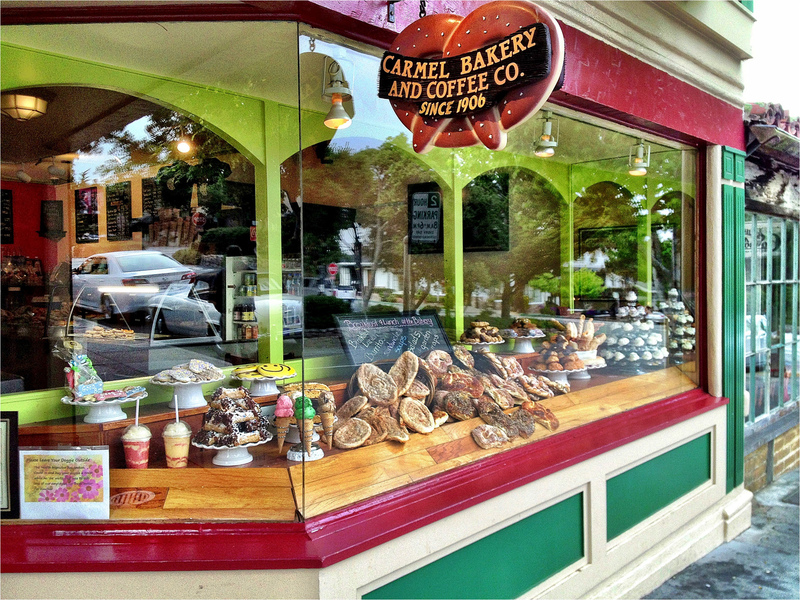 iPhone Friday – Carmel Bakery & Coffee Co.
There’s a little bakery in Carmel called appropriately The Carmel Bakery and Coffee Co., that my husband and I just fell in love with. 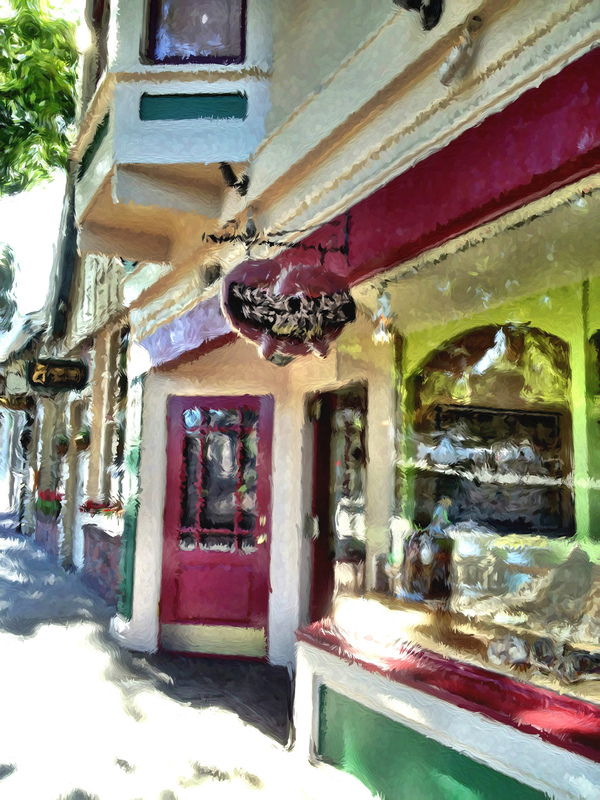 We headed there every morning for breakfast (they make a mean breakfast burrito) and their baked goods are just out of this world. If you find yourself in Carmel head over there.